So, one of my New Year's resolutions was to find my love of my reading ...and I'd say I'd pretty much found it based on the amount that I've read in January! Hurrah. That's such an amazing feeling. Now if I only I could work on the blogging and booktubing, eh? One step at a time though. What a fun collection of books for the start of the year. I love the mixture of YA, non-fiction and poetry there. I think the key for me to continue reading and to avoid a book slump in the future is to mix things up in terms of genre and type of book. I really hope this surge of reading continues. I have missed it. 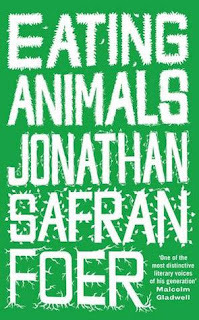 I've chosen Eating Animals by Jonathan Safran Foer as my book of the month because of the impact it has had on my life. I'm currently in the process of switching over to becoming vegetarian. This is something I feel strongly about, however I need to be aware of how that will impact on N and the boys. Lots more reviews this month than in previous months, so that's a nice change. Back in my peak blogging days it'd be more like 12-16 reviews a month, so there's still some more improvement to be had. We'll see though. I don't want to pressure myself needlessly. A paltry amount of other blog posts this month. I do have PLANS however it's just been easier to fall back into writing reviews than it has been to sit down and write some of the other more detailed posts that I've been mulling over. Hopefully they'll be coming at you soon enough. Ah, booktube. How I have missed you. Baby steps though. I've been reading a ton of books by British authors lately, it feels pretty good. Let's hope this keeps up throughout the year, especially as the British Books Challenge is the only official reading challenge I usually take part in. Last year I half-heartedly tried to read some of my own books. This year I'm hoping to do the same. Mostly to clear some space on my shelves but also I just like reading a variety of different types of books. I read 8 books I bought myself in January but I'm not counting any of them because they were all e-books and part of this challenge is to read physical books! I decided to re-dedicate myself towards keeping a high feedback ratio percentage on Netgalley, seeing as it's been hovering around the 89-90% mark. 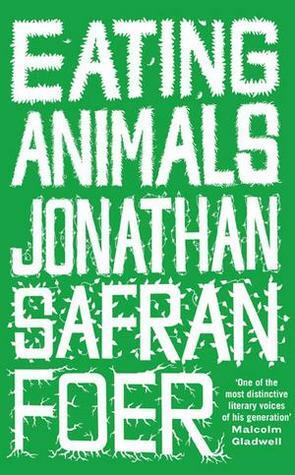 This month I read 4 Netgalley books, wrote reviews for many, many more. I currently have 15 unread books from Netgalley that needs to be read and reviewed in order to be fully caught up. I can do this. What have you been reading and loving in January?